For wine lovers, we have prepared a completely new product that enables anyone passionate taster carry your drink and still have your hands free. Suitable for both tasting and a party with friends. 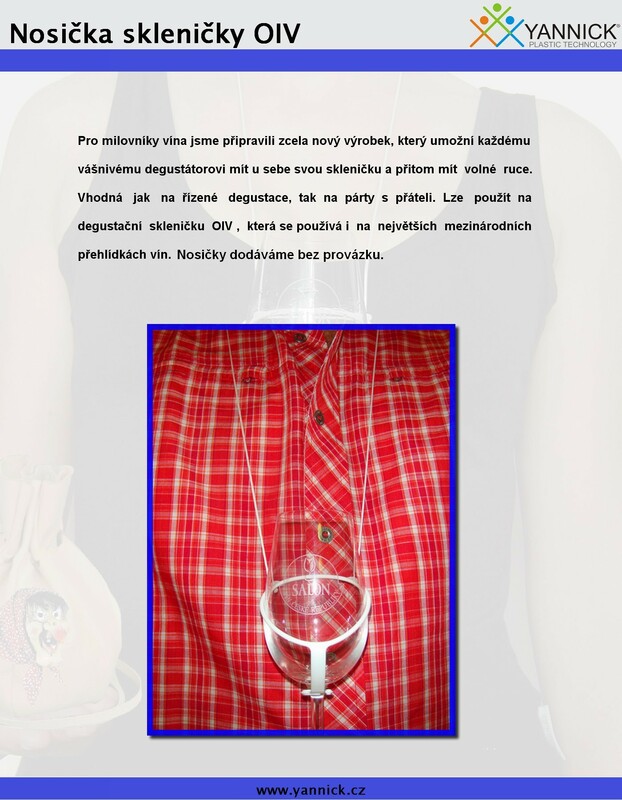 You can also use the OIV tasting glass of wine, which is also used on the largest international wine shows. It has the exact dimensions issued by OIV in Paris. Its peculiarity is that the scent is released more slowly, but it was stronger than in other glasses.